Dealers are settling for lower-grade vehicles and investing in remarketing to make up for used car stock shortages. According to the Vehicle Remarketing Association, reports are widespread of traders who would normally only acquire grade one or two cars settling for grade three and then spending money to bring them up to the desired condition. 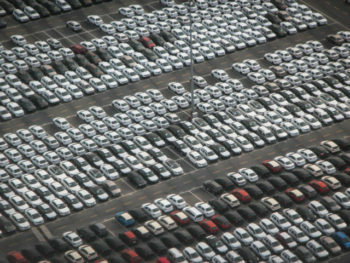 Glenn Sturley, chair at the VRA, said this means that the general condition of the used car parc is being raised by a degree. “Instead of grade three vehicles being bought and sold as grade three vehicles, their condition is being improved, so customers are generally being given access to better quality used cars,” he continued. Sturley added that the trend was also leading to an increase in demand for vehicles in grade three condition, and that a greater gap in trade values was potentially emerging between the top three grades and the bottom two. “However, with factors such as Brexit and general economic uncertainty causing consumer confidence to falter, we expect to see the used car market continue to remain buoyant in comparison to the new sector well into 2019,” he continued. His comments come as Shoreham Vehicle Auctions warned that dealers are increasingly turning to used cars to fill gaps on forecourts due to new car shortages from WLTP testing challenges.